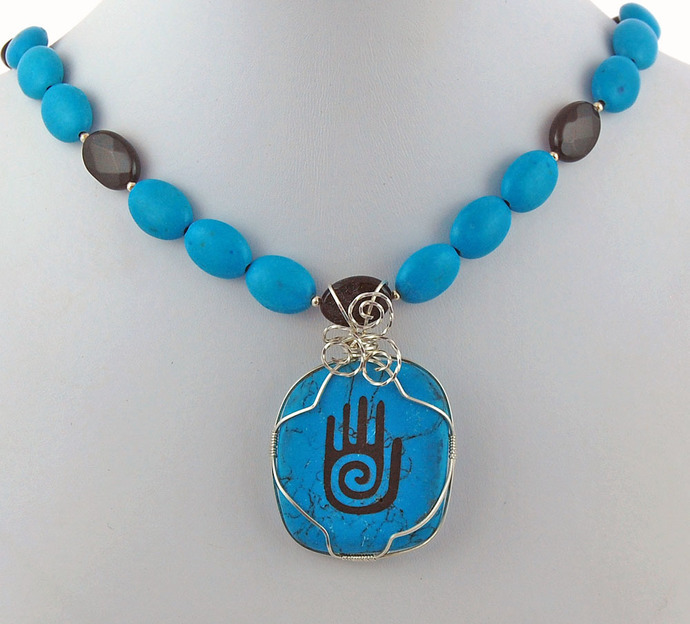 A hand with a spiral is engraved on turquoise colored howlite and wrapped in sterling silver wire. 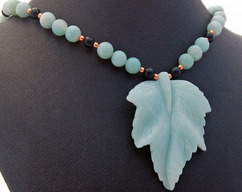 It is attached to a necklace of real turquoise gemstones, black onyx and sterling silver. The necklace is approximately 18 inches long with a sterling silver extender chain and sterling silver lobster clasp. 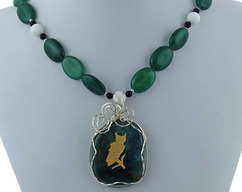 The pendant is approximately 1 ½ inches by 1 3/8 inches with a 2 inch drop. In Native American culture, theHopi Hand is the sign of life and creative healing. Howlite helps strengthen memory, and a desire for knowledge. 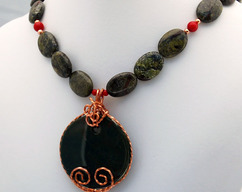 It is a calming stone, helps encourage emotional and artistic expression, and patience. It can help focus the mind to assist with the achievement of goals. Turquoise is known as a purification stone that can enhance creative problem solving and the intellect, dispel negative energy & promote positive energy, assist with emotional balance & stability, & bring peace to the home. It is the stone of kindness, friendship and romantic love. 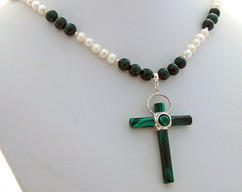 It is a sacred stone in a number of Native American cultures. All photos are as accurate as we can make them. Colors may be different depending upon the settings of various computer monitors.